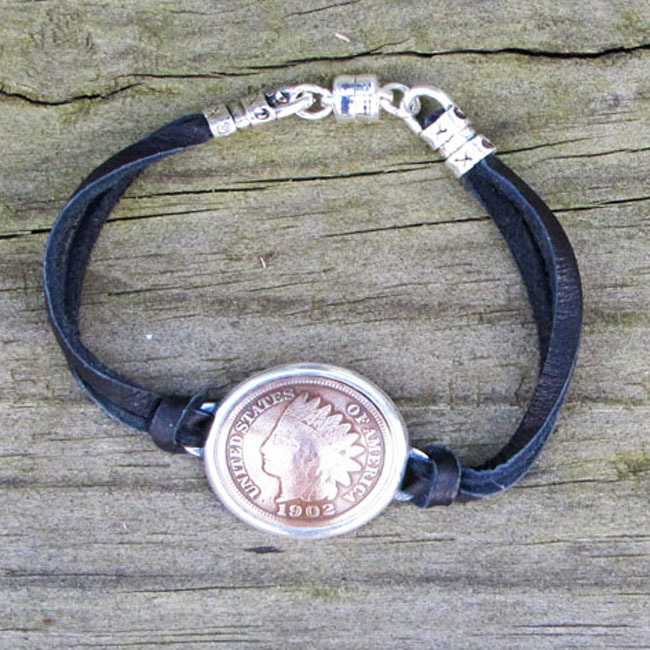 This wonderful 7 1/4″ bracelet is made with an authentic Indian Head Penny. The pennies were in production from 1859 until 1909. A great way to wear a piece of American History. Your choice of brown or black deerskin leather.